Move over butternut, acorn, and spaghetti squash and make from for the cute little delicata, an heirloom variety of squash with a thin edible skin, which makes it much easier to work with and take less time to cook. It is an heirloom variety with a pale yellow or beige skin and shallow ridges with dark green mottled stripes. As its name suggests, the delicata’s lack of a tough outer skin means that it is more fragile and doesn’t last as long in the produce section as most winter squash, which can make it hard to find. I recently discovered the delicata and it has become my new favorite. It’s smaller size and thin, edible skin make it perfect for stuffing and roasting. For a quick and easy weeknight meal, try this Stuffed Delicata Squash with a hearty filling made with sausage, kale, and cheese. To get the rest of the recipe for this Stuffed Delicata Squash, please click the link to follow me to A Lucky Life blog. Wow, love squash and this looks delicious! Thanks for sharing. Wow, this looks delicious! 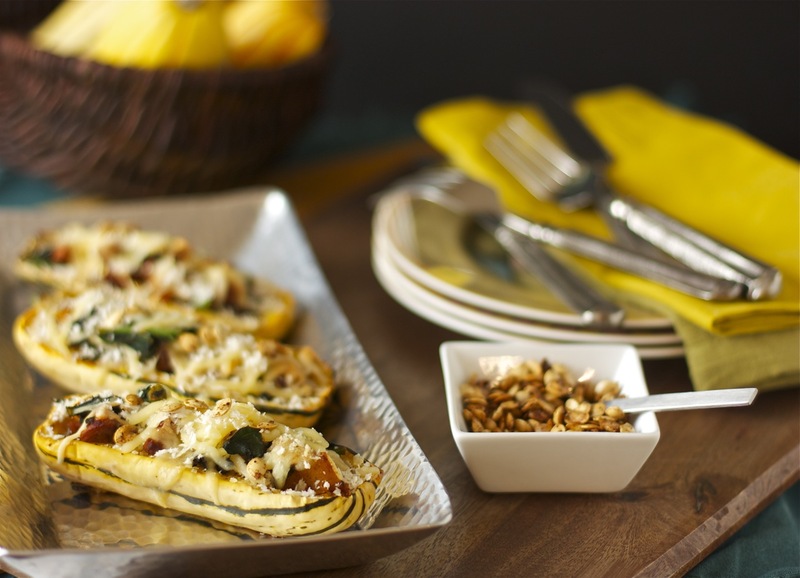 I love delicata squash, but my fiancée thinks it’s far too sweet, so I bet we’d both be happy with your recipe since it’s stuffed with a savory filling! I love delicata – it’s the best! Just picked some up yesterday. Thanks for the recipe. A truly gorgeous Autumnal recipe, Daisy. Fantastic. I adore delicata squash, and have several from my CSA. I was going to do a recipe this week, now that I’m back from my travels and over the flu! Happy fall! OH, DAISY. Fantastic photos. 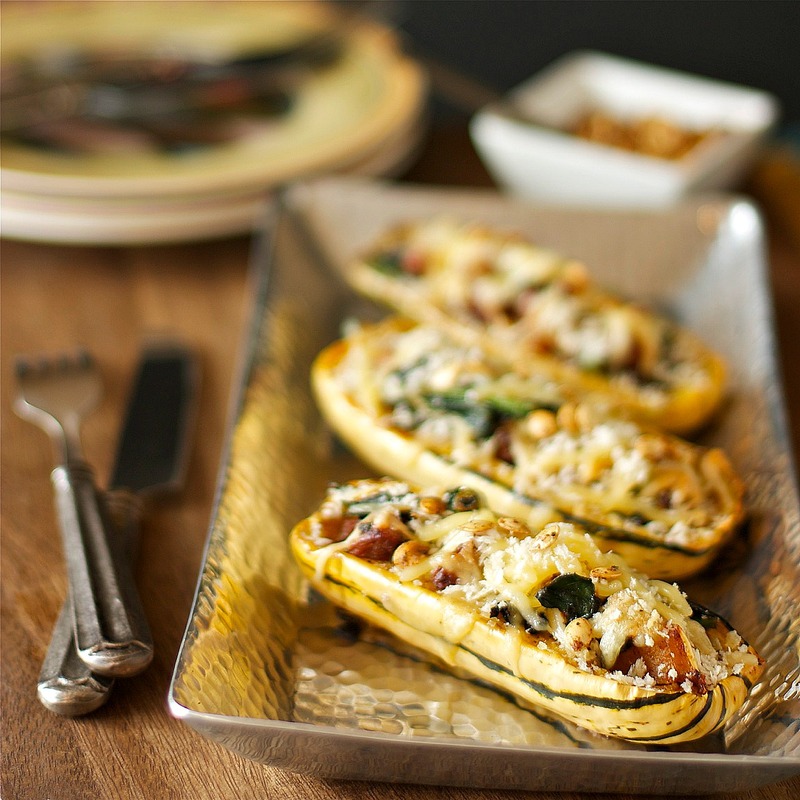 I love delicata squash – and your recipe. It is very versatile. I may try it with lamb. Nice work! I love delicata! It’s also my favorite winter squash. I just picked some up at the farmer’s market, thanks for the new idea. That is simply elegant. Thank you for sharing Daisy.